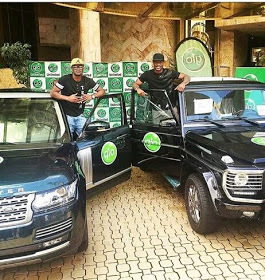 Africa’s top music duo, P-Square (Paul and Peter Okoye) of Nigerian descent are currently the talk of town after they were gifted with a brand new Mercedes G-Wagon and range Rover spot for consistently being brand ambassadors for a Nigerian telecommunications company, Glo Networks for six good years. This comes at a time when the personally hit makers bought their very own grandiose mansion in Atlanta, USA. 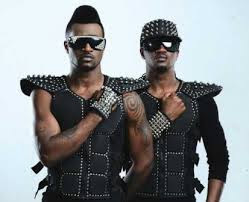 The kings of African music took to their social media to share the good news and start the month of October with a bang!